I can’t recall where I got this definition of an entrepreneur from a decade or more ago, but I suspect based on its tone, it was most probably the great Dan Kennedy or someone of his ilk, not that there are many. If you live the life of the entrepreneur, yours will be a rich, unique, exciting, rewarding and immensely fulfilling life. You will also unwittingly offend some people and disappoint others. You may incur the wrath of those who don’t carry the same flame within them… and the most envious may even try to bring about your demise. Some of these people will be quite close to you, others unknown and on any given day, the cast of these characters may change. What you must understand is that the need to be universally liked, appreciated, understood, respected and treated fairly, has the power to render you more harm than the enemy you can see! If you cling to it, it will inhabit any real success. It’s when you can cast neediness aside that anything becomes possible. My preference in business is to “Blur the Line” between work and play, to me, work isn’t work. Here is a great quote from Sir Richard Branson. 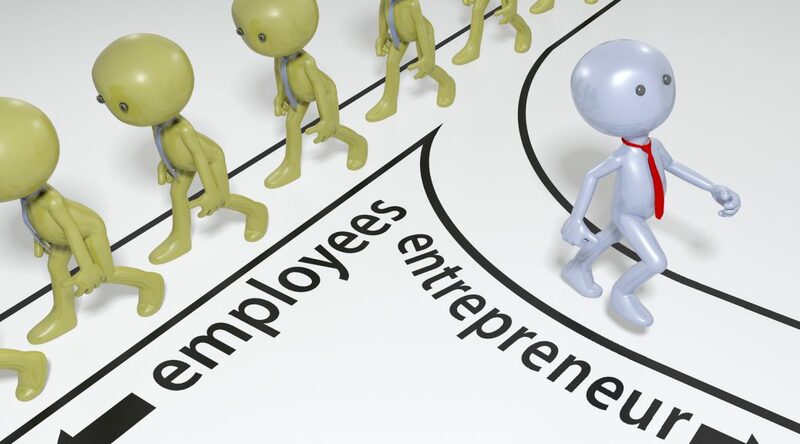 To some the price of entrepreneurial success is too higher price to pay and not everyone is cut out to be an entrepreneur but I believe everyone “pays a price” even, an employee. The entrepreneur can’t go home on time when there is a deadline but the reality is you don’t get to choose a life without a price whether you’re an employee or a business owner. For example, when my wife was dying of cancer I didn’t get compassionate leave, employees do/can. It is CERTAINLY NOT job security or retirement guarantee although Bill Shorten, Theorists and Academics would DISAGREE. It is certainly not to provide a fun, enjoyable happy place that is devoid of profit although there are a lot of Management theorists and academics who have NEVER owned a business who would DISAGREE. Your ENTREPRENURIAL RESPONSIBILITY is to your shareholders, in your case, most often you and your family. The Business Owner’s AGENDA is in CONFLICT with the Employee’s AGENDA. Will I knock off on time tonight? Will my wage cover my bills? Do I have enough money for the weekend? Can I buy those shoes? The reality is however good your relationship is with your employees, you most probably don’t rank in their top 20 considerations because there is a conflict in your agenda and their agenda. So what kind of employee do you want in a word or two? Therefore, every employees primary purpose is to facilitate what you do that they can’t or won’t do hence they are either enabling or impeding therefore when an employee is impeding your entrepreneurial endeavours, someone has to go. And last time I looked, you can’t fire you, you are stuck with you so the impeding employee must go. My advice is to be intolerant to cancers, dead wood, emotional basket cases and other impediments to maximum profits and productivity. Break all the rules… Don’t DO ANYTHING the masses do… Instead DEFY industry norms and be immune to criticism… because the higher up the ladder of success you climb the more your bum hangs out. Like I said, not everyone is cut out to be an entrepreneur and that is ok, but I believe this planet we call home would benefit greatly from a “Capitalistic Entrepreneurial Revolution”.